Part of the Port of Hamburg at Norderelbe river, with Stage Theater im Hafen on the right site. A virtual guide to the German Federal State of Hamburg. The Free and Hanseatic City of Hamburg (in German: Freie und Hansestadt Hamburg) is a city state and the second largest city in Germany and the second smallest Federal State in Germany. Formerly a settlement to convert the Saxons to Christianity in the 8th century, the ancient riverport became in the course of centuries the most important trading center in Europe and Germany's 'Gateway to the World'. Hamburg is located at the junction of the Elbe River with the Alster and Bille Rivers about 50 km south east of the Elbe River's estuary mouth on the North Sea. 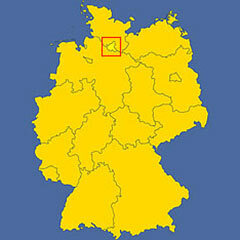 The city state borders Schleswig-Holstein in north and Lower-Saxony in south. Hamburg is Germany's largest and most important port. Nick name(s): "Tor zur Welt" - Gateway to the world. Location: on the southern tip of the Jutland Peninsula at the Elbe River about 50 km south east of the Elbe River's estuary on the North Sea. Religions: 29% Protestants, 3% Roman Catholic. Industries: Port, civil aerospace industry, oil-refining, media and print. Hamburg Rathaus, the city's town hall as seen from St. Petri, in background the "Michel" church tower. 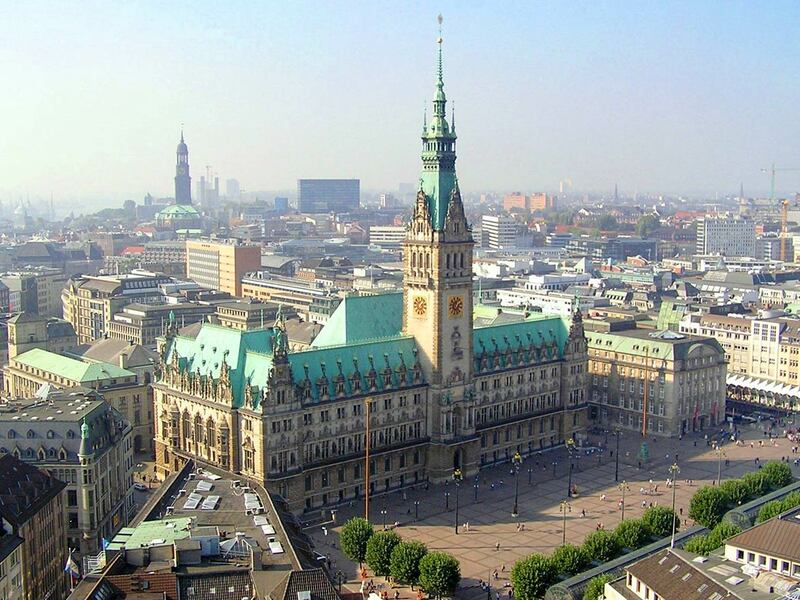 The Rathaus building is home to the government of Hamburg, the seat of one of Germany's 16 state parliaments. Freie und Hansestadt Hamburg; the city state and State Capital's official website. Statistics office for Hamburg and Schleswig-Holstein. Searchable map and satellite view of Hamburg. Germany's best-selling nationwide yellow press. German nationwide newspaper (partly English). Weekly news and background information - politics, business, education, knowledge, media (in German). 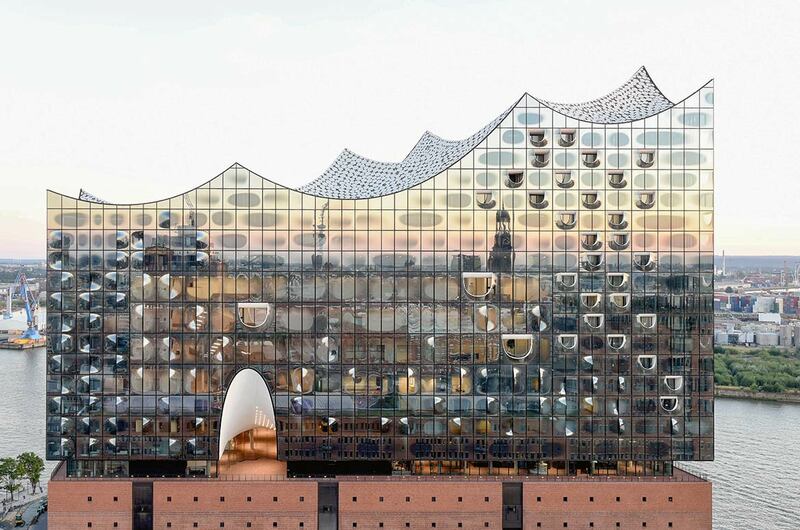 The Elbphilharmonie with its impressive glass facade and wave-like rooftop is Hamburg's new landmark. Elbphilharmonie and Laeiszhalle Hamburg, the city's brand-new landmark, the 'concert hall for everyone'. Germany's first public opera house in Hamburg, founded in January 1678. A guide to Hamburg's musicals. Exhibitions of modern and contemporary art. Index of museums and exhibitions in Hamburg. 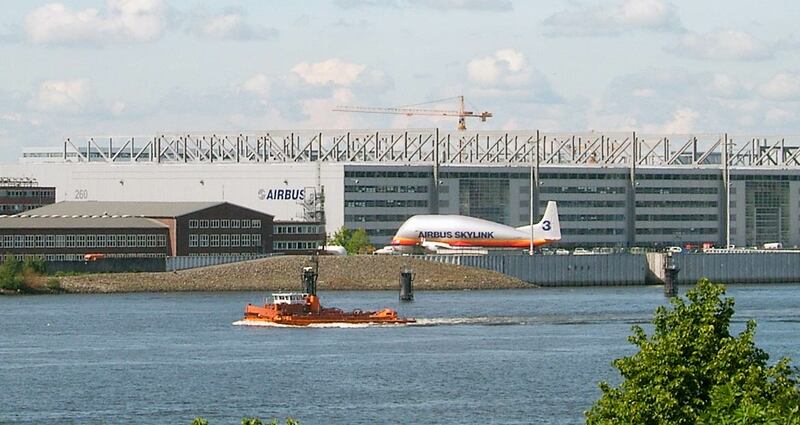 Airbus plant in Hamburg, Finkenwerder. More than 17,000 people work for Airbus in Germany. Hamburg Business Development Corporation, a consulting agency for investors and companies. Official website of Hamburg's airport. Hafen Hamburg is the principal sea port of Germany. Discover Hamburg, the city state and Germany's principal port. A visitors guide, from the Alster Lake to the district of St. Pauli. 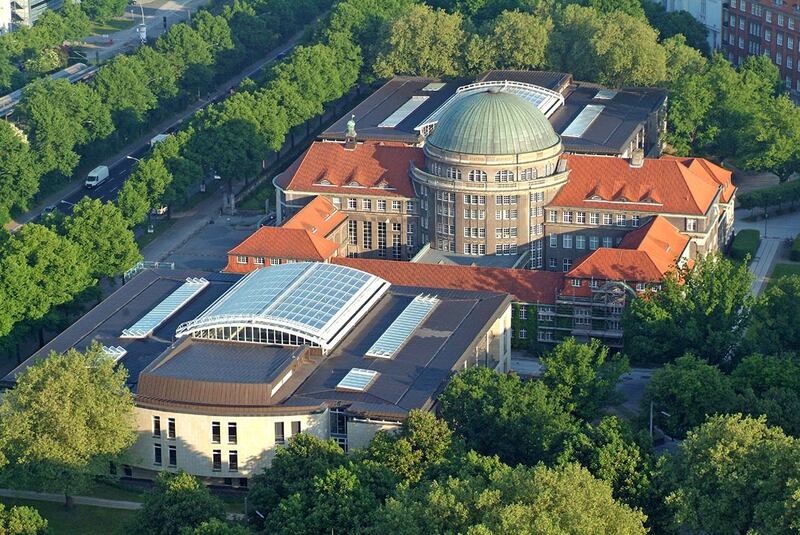 University of Hamburg main building. Nature- and recreation landscape in the middle of the tri-city area of Hamburg, Hanover and Bremen. Wikipedia entry about Hamburg's history. Is Hamburg your Ancestor's Emigration Port? A data bank of the Hamburg Emigration Lists beginning with the emigration of 1890 will be made available for your personal use. The entire data entry for individual emigrants can be accessed for a fee at BallinStadt.